As the Beermat Bard, I feel a traditional “hello” should give way to “cheers” or is it too early in the day? If you’ve surfed onto my website whilst taking time out for a glass of bubbly in Las Vegas after dropping the jackpot on a slot machine, can it ever be too early? For all non-highrollers who have stumbled across this website, take a gamble and read on for it may provide amusement to tell your friends but don’t tell Donald Trump – not that you can tell him anything or that he has got friends anyway. 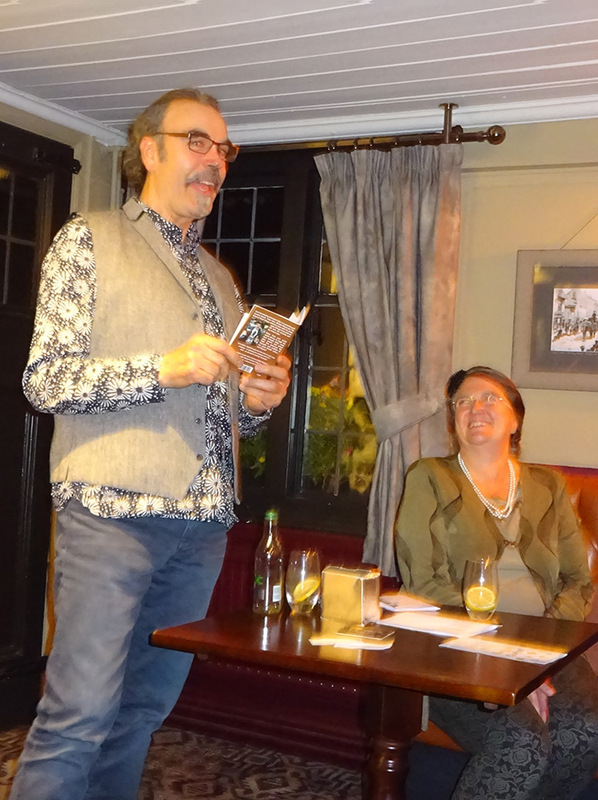 Getting a laugh at the Subtle Flame poetry group that meets every first Thursday of the month in Beverley. 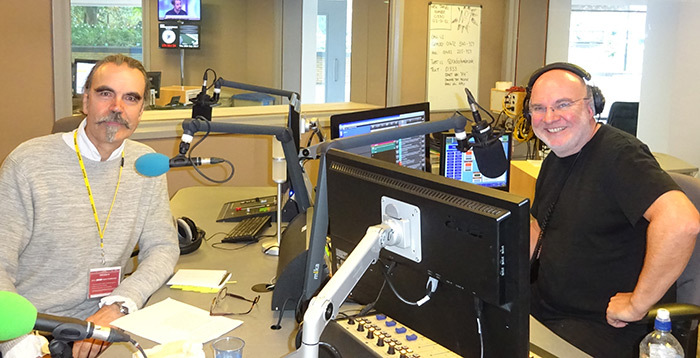 On the BBC Radio Humberside David Burns Show promoting my latest publication, which certainly had Burnsy laughing - maybe because he received a complimentary copy. 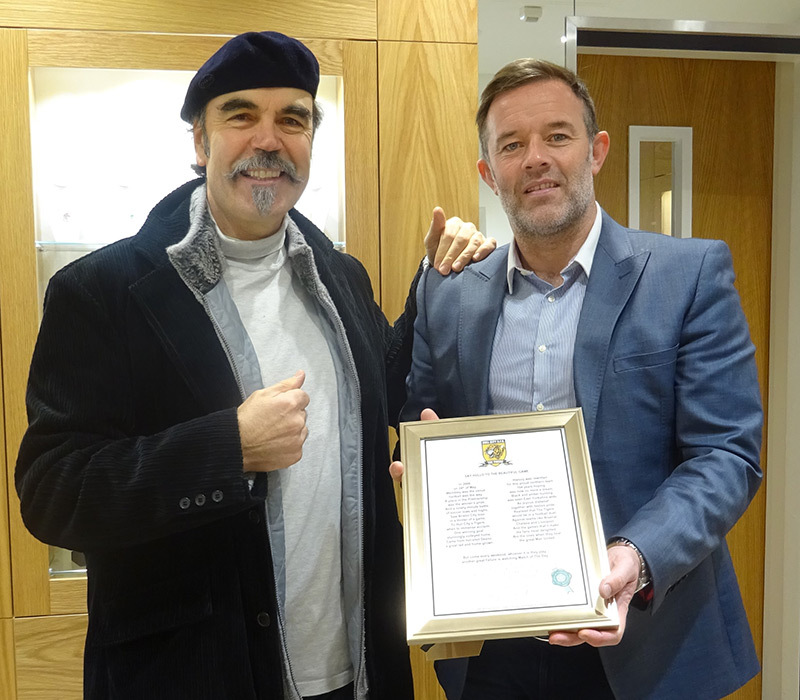 Presenting the former Hull City Football Club Captain, Ian Ashby, a poem marking the Tigers famous Wembley win when they beat Bristol Rovers 1-0 to gain promotion into The Premiership for the first time in the club’s history. Regarding Vegas, I have fond memories of performing there and though I never struck it lucky on the tables, my luck is that I live in Hull, Yorkshire. The Lonely Planet Guide voted Yorkshire the third best place in the world to visit and it is where you will find me when I am not gigging across the globe, performing a mixture of town crying, poetry, stand up or story-telling, as well as shouting about anything worth shouting about in my town crier role. 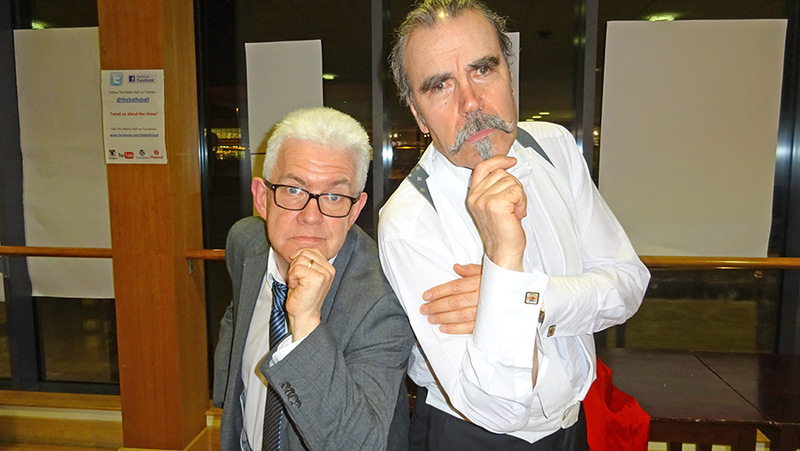 Michael with Ian McMillan—poet, playwright, journalist and broadcaster... or is it Barry Cryer?